The promise of Android Pay is that all you’ll need is your phone when you reach the checkout counter. While it works rather splendidly for NFC payments, integration with loyalty programs has been another matter. You still have to awkwardly scroll through your saved cards and have the clerk scan your phone or dictate your phone number, which serves as the ID for many programs. 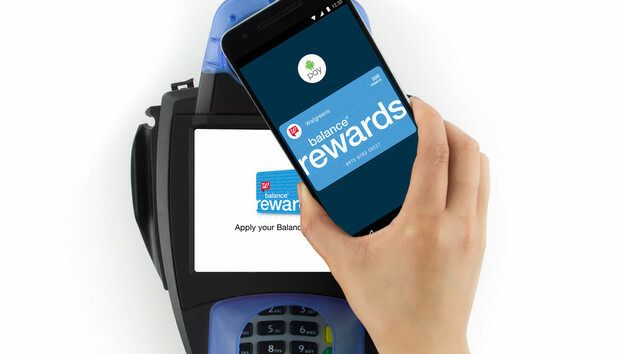 Walgreens is the first retail store to fully embrace the vision of Android Pay by integrating its Balance Rewards program with the tap-to-pay function. This means when you use Android Pay, you’ll earn your rewards points and pay for your items with your phone all in one transaction. In a statement, Google senior director of product management Pali Bhat said the new initiative should make for a zippier checkout process. To try this out, follow our guide to setting up Android Pay and adding in your loyalty cards. The impact on you: This feature is the biggest missing piece of the Android Pay experience. Getting a big company like Walgreens on board may spur others into action, especially if they can see the business value in rapid checkouts and additional data about customer habits. Walgreens is clearly a big believer in the concept, rolling out this type of integration last year with Apple Pay.